As the No. 1 pick in the 2007 NHL Entry Draft, Patrick Kane has lived up to all the hype that surrounded him during his first year in the league. The NTDP alum is on track to become the eleventh American to win rookie of the year honors. There are a lot of things to be learned playing street hockey. 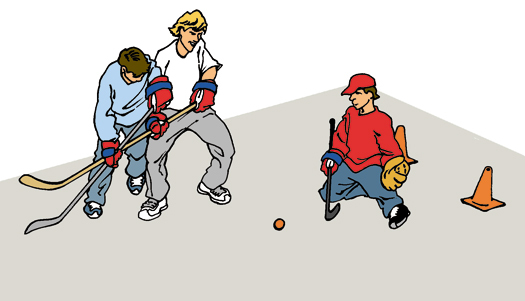 Players can work on their stickhandling, passing and shooting skills, as well as team play. It’s also a great way to work on your stamina. When I was a kid we played ’til we dropped — and we loved it. You hear it all the time how we need to get back to “rink rat hockey.” With ice time at a premium, there’s no better way to keep a stick in your hands than playing street hockey. Believe me, kids will figure it out just fine without an adult telling them what to do all the time. One of the many things a child can learn playing street hockey or sandlot ballgames is leadership. It’s amazing how quickly a child’s leadership traits will come out when there’s no adult around to tell him or her what to do. 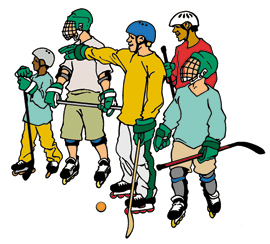 Kids will choose up teams, create the rules, resolve conflicts and have fun when they’re left to their own devices. Things are different today than when your mom and dad were kids. There was a lot more open space, more freedom to use ball fields, empty tennis courts, parking lots and even streets to play in. And let’s face it, we as parents are more sensitive to knowing where our kids are at all times. 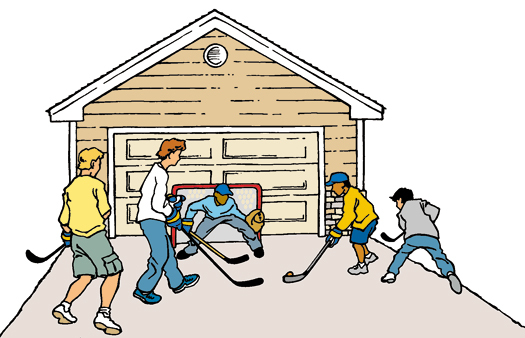 But that doesn’t mean you can’t play street hockey in front of your house, in a friend’s driveway or in a nearby cul-de-sac. All it takes is a little creativity to create your own Boston Garden. Great players are not made by sitting on the couch or in front of the television. It takes years to create and refine the skills needed to play hockey at the highest level. Use every opportunity you have to practice, play and just have fun. That’s what summertime is all about. Submitted by Quick LA on Sat, 2012-06-02 07:44. Patrick I admire your work on and of the Ice. It is cool to read what you say. You inspired me to play hockey and how to deke out goaltenders in shootouts. Now you inspired me to play more street hockey, thanks for everything.